Samuel Wells is a composer, performer, and music technologist based in New York City. As an advocate for new and exciting music, he actively commissions and performs contemporary works. He is a recipient of a 2016 Jerome Fund for New Music award, and his work, stringstrung, is the winner of the 2016 Miami International Guitar Festival Composition Competition. He has been a guest artist/composer at universities throughout North America. Samuel is a member of Arcus Collective, Kludge, and SPLICE Ensemble. 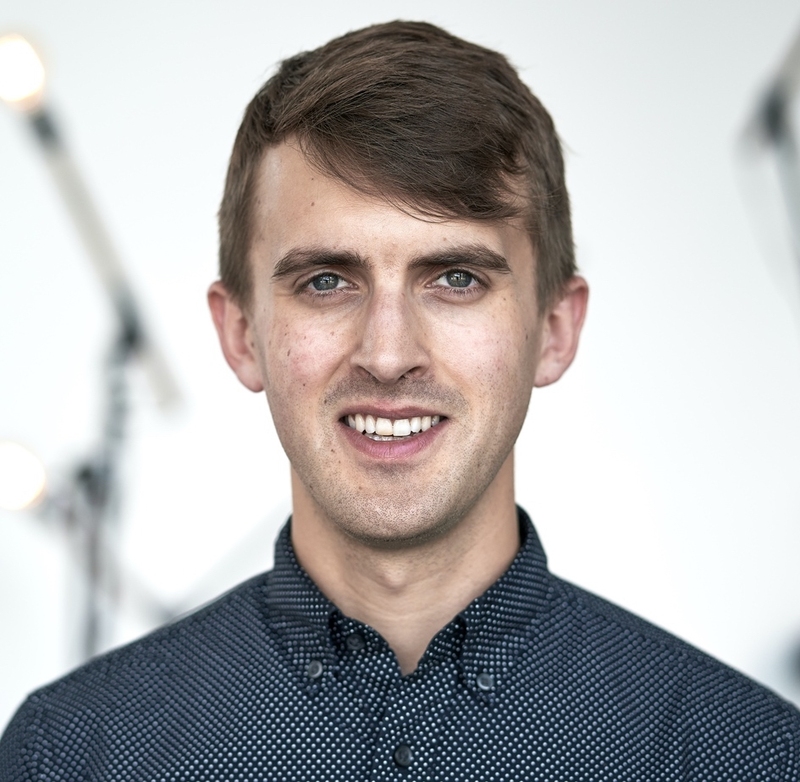 Samuel has performed with Contemporaneous, Metropolis Ensemble, TILT Brass, the Lucerne Festival Academy Orchestra, and the Colorado MahlerFest Orchestra. Sam has recorded on the SEAMUS and Ravello Recordings labels. As a performer and composer, I strive to create immersive and narrative experiences that prompt listeners to reflect upon and challenge their role in society. My creative research explores the intersection of experimental narrative devices in fiction and live performance augmented by interactive electronics. Performance is a central element of my practice as it infuses musical narratives with immediacy and humanity. The timbral extension of human performance through live electronics expands the meaningful material available to me as a composer, and I find the creative implementation of these processes increasingly relevant in our technologically dominated society. “Light Is Like Water" is the first piece in a series based on Gabriel Garcia Marquez's collection of short stories, "Strange Pilgrims." In the story "Light Is Like Water," two brothers discover that they can fill their room with light by turning on a faucet, as one could do with water. This liquid light becomes a surreal environment in which they swim and dive. My musical recreation to this experience begins with volatile sparks of energy that cohere into a glassy and fluid texture that trumpeter explores. All of the electronic sounds are generated in real time through live processing in Max 8. The Lacuna was written for HOCKET and made possible by a grant from the American Composers Forum with funds provided by the Jerome Foundation. It is based on Barbara Kingsolver’s novel of the same title. The novel is comprised of the diaries of a fictional man, Harrison William Shepherd. “The Lacuna” chronicles Shepherd’s life from a first-person point of view: Shepherd grows up in Mexico, works for Diego Rivera and Frieda Kahlo, and is eventually investigated by the House Un-American Activities Committee. The book is structured chronologically with clearly delineated sections, but the diaries leave significant gaps in time, which compels the reader to construct periods of Shepherd’s life. This sectional structure is conveyed through a series of episodes that are interrupted by performer-less electronic interludes that represent the narrative gaps in the story. All recordings are from the premiere performance of The Lacuna given by HOCKET on September 30, 2017 in Pasadena, CA. minong is a lyric account of the time I spent in Isle Royale National Park in the Summer of 2012. Isle Royale, or Minong in the Ojibwa language, is a large island in Lake Superior. After traveling to the island several times, I am continuing moved by the freshening and transformative effects Isle Royale has on me.